and the default/recommended way to work with powershell scripts using the PowerShell on Target Machines VSO agent task is to pass parameters. Sure, the VSO agent task has the advanced option “Sessions Variables” for backward compatability but I would really prefer to make my RM2015 solution forward compatible instead. Make sure your wrapper script is included in your build drop together with your other deployment scripts. Then add three global variables in RM2015. 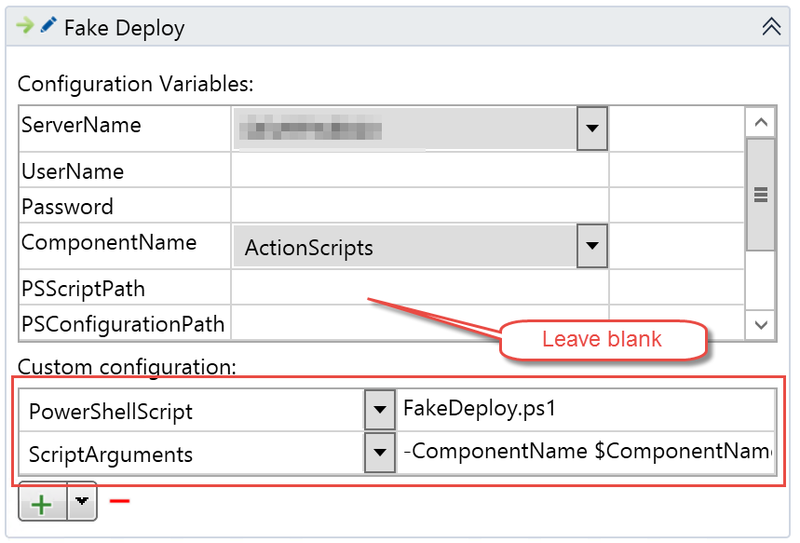 PowerShellScript – do not set a value at the global level, we just want the variable to show up in the dropdown list for Custom configuration in our PS/DSC action. ScriptArguments – do no set a value at the global level, same reason. We are now forward compatible!